Preconceived notions aside, you don’t have to be Scottish to sport a kilt. Sure, Sir Sean Connery, Ewan McGregor, and Gerard Butler are all snapped on countless occasions looking the epitome of dapper in this tartan embodiment of Scotland, but then again, look at legendary fashion designer Marc Jacobs. He wears a kilt like there’s no tomorrow and makes it work. Whether contemporary black and sleek, or rugged and old school, here are the best shops in Edinburgh to buy a kilt. And yes, the question remains — are you a true Scotsman? 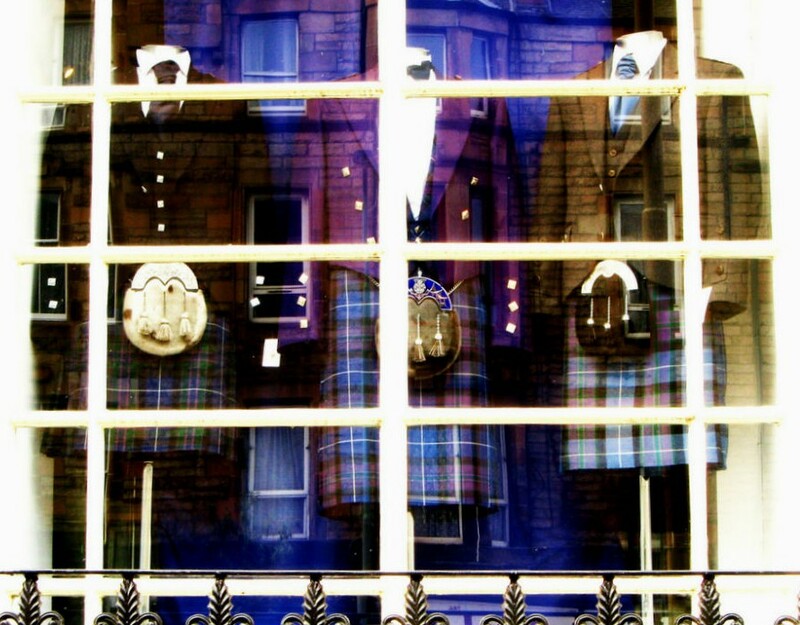 Voted one of ‘The 10 Best Independent Shops In Edinburgh’ by The Guardian, 21st Century Kilts is a designer boutique specializing in bespoke kilts. Howie Nicholsby, the man behind the magic, started the business in 1996 before launching it in 1999 at London Men’s Fashion Week. 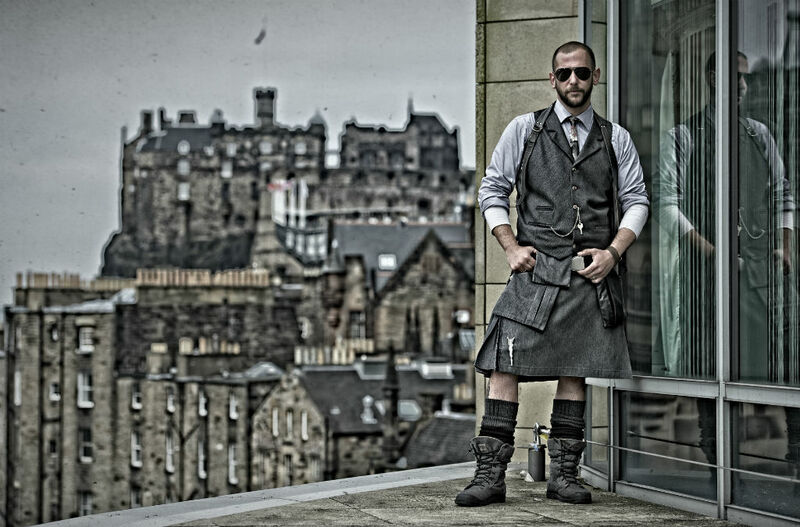 A deftly skilled master of his craft, Nicholsby firmly believes that kilts make for wearable, every-day clothing. From gold and purple denim to camouflage, leather and pinstripe, this Scottish boutique is hands down the most stylish spot for an innovative version of a classic. Make sure to book an appointment with Howie, who sees every client personally (a minimum of 1-2 hours is required). Always standing out from the crowd, it is no surprise that GQ, Vogue Italia, and NY Observer continuously sing his praises. Those like a deer in headlights when choosing a tartan and the accompanying get-up should make a beeline for Slanj. You will never look back. The marvels inside can match any sock to any jacket and are much-appreciated fountains of knowledge when it comes to traditional Scottish Highland wear. Once more, they have a smashing selection of tweed jackets in a fantastic array of colours, an enviable selection of kilts, hilariously charming Scottish tee shirts, and enough trews to keep you going. From Sean Connery in the Blackwatch tartan dinner jacket and Mike Myers in the best-selling ‘Superlion’ tee to Billy Connolly in an endless amount of suits and kilts (including his Tickety Boo suit featured in Madame Tussauds) and Kings Of Leon drummer in a kilt, Slanj has quite the reputation. Kinloch Anderson is a place of dreams, especially for those aiming for the ‘Scott’s Porage Oats’ man in a kilt look. An established Highland wear store for years, Kinloch Anderson specializes in made to measure traditionally crafted kilts, fabric and clothing. 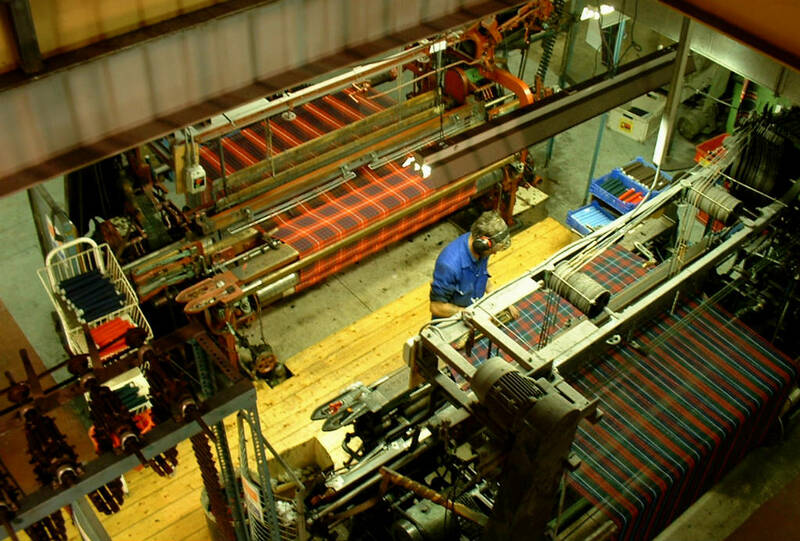 All kilts are made in their Edinburgh factory with meticulous attention to detail and preference for quality. After all, it is the little details like the personalized label inside the kilt, perfect pattern matching on each garment, and matching waistbands, that justify the price. With this in mind, Kinloch Anderson is the kind of place to visit if you are looking to invest in a kilt rather than use it for a one-off event. From all the usual tartan suspects to unique one-of-a-kind designs, Gordon Nicolson of Nicolson Kiltmakers has been crafting kilts for over 30 years. The main thing that separates Nicolson from the rest is the quality. An enormous amount of effort is placed on the hand stitching process and also the shaping, which ensures that the kilt swings and hangs as it should. Those with a penchant for pleats will be delighted to know that Nicolson places extra focus on the number embedded into each kilt. Tartans exclusive to Nicolson include the University of Edinburgh, Flodden, John Muir Way, and SiMBA. Established in 1971, Geoffrey (Tailor) is a family run business with an extensive knowledge and background when it comes to the art of kilt making. Geoffrey, who qualified as a Master Tailor in 1969, is a graduate of the Tailor & Cutting Academy in London. This, and the fact that his mother was a kilt maker during World War II, prove that such a métier was written in the stars for Geoffrey since the beginning. From traditional kilts to contemporary styles, Geoffrey (Tailor) Kiltmakers could conjure up kilts in their sleep. The service is second to none, too.